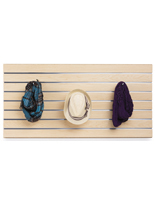 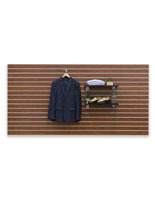 This heavy duty slatwall panel gives you a set of 2 display options, unlike floor standing units. 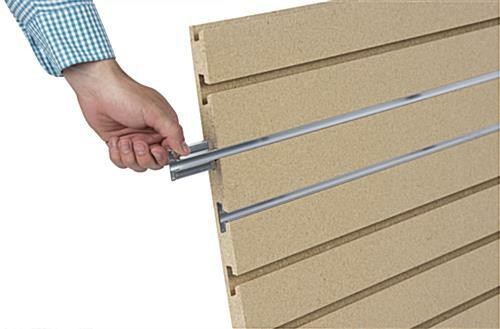 The 7 channels on each slotted wall are compatible with standard sized accessories. 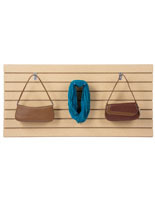 Included with the display slatwall panels are Readysert™ strips to enhance the weight capacity per board. 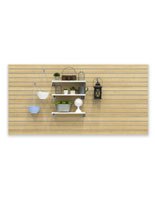 Each slotted wall is 48” wide x 24” tall. 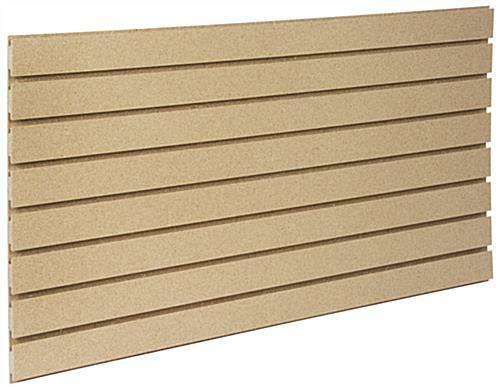 With a paint grade finish on the slatwall panel, you have the ability to use as is or to paint it to the color of your choice. 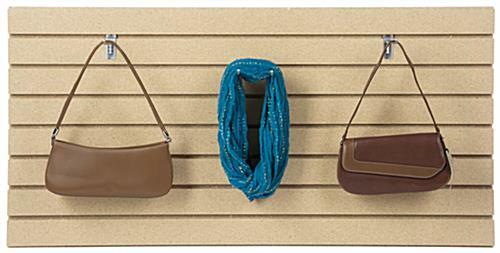 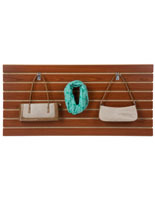 Use this mounted display to open up floor space and promote products in a floor to ceiling style. 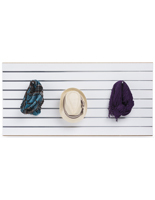 48.0" x 24.0" x 0.75"